Your account security is extremely important to us here at RBLTracker. Since our initial inception, we’ve supported two-factor authentication using the Clef application, which provided an easy-to-use two-factor authentication, and single sign-on application. With the recent news that Clef will be shutting down its services in early June (you can read all about it on the Clef blog), we’ve opted to remove support for it early, and implement an alternative two-factor authentication option using TOTP (Time-Based One-Time Passwords), a standard that won’t be going anywhere anytime soon. TOTP uses an algorithm to compute a one-time password, based on a shared secret and the current time. One benefit of TOTP, is that the 6-digit authentication token that is generated automatically rolls over with time, which dramatically reduces the susceptibility to phishing schemes. 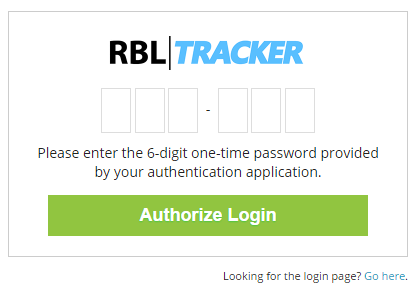 Two-factor authentication is available today, and can optionally be enabled on any account on the RBLTracker system. For a complete tutorial on setting up two-factor authentication, see the Setting up Two-Factor Authentication guide. This entry was posted in RBLTracker and tagged rbltracker, totp, two-factor on 2017/03/26 by mike.